Even the best batteries lose performance and endurance after a few years, especially when they are intensively used, for example, like those in the Dolphin CT50, the smart companion for professional field staff from Honeywell. 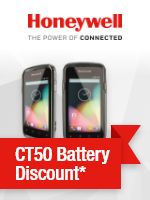 With this special offer on replacement batteries, Honeywell offers you a great opportunity to provide renewed enhanced performance and enjoy more satisfaction with your customers! Healthcare is a market worth tapping into: attractive growth rates and a high need for special hardware. Jarltech makes getting started easier for you with a special microsite. 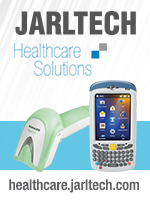 At healthcare.jarltech.com you will find all the healthcare hardware offered by Jarltech clearly arranged. You will also find typical areas of usage, from the moment the patient arrives until he is released. Discover your own company's growth potential here and show your healthcare customers the opportunities for development.